What is the nature of openness, and what role has it played in education over the years? The concept of openness has traditionally been very difficult to define, and its history in education has often been ignored, obscured, or misrepresented in the literature, media, and popular culture. This paper provides an operational definition of openness and highlights the history of openness in education over the last century. This serves as a useful lens for better understanding the nature of openness and from which to examine the role of openness in education in new ways. This history legitimizes openness as an approach to education with historical significance, and establishes a precedent for certain types of instructional strategies and educational models that are common today. The paper concludes with a push for educators to continue thoughtfully integrating openness within the current educational system in a practical, experimental way. This will continue the integration of these systems and result in one that retains the strengths of both traditional and open approaches. Abel, R. J. (2006). Best practices in open source in higher education study: The state of open source software. Lake Mary, FL: The Alliance for Higher Education Competitiveness, Inc. Retrieved from http://www.methodist.edu/csc/ossresearch/applications_vendors/OSSReport.pdf. Baker III, F. W. (2012). Unshackling future minds: How including openness in teacher education can avoid insurrection and usher in a new era of collaboration. In P. Resta (Ed. ), Proceedings of Society for Information Technology & Teacher Education International Conference (pp. 1488–1493). Chesapeke, VA: AACE. Retrieved from http://www.editlib.org/p/39793. Baker III, F. W. (2014a). Policies related to the implementation of openness at research intensive universities in the United States: A descriptive content analysis [Doctoral Dissertation]. Retrieved from http://pqdtopen.proquest.com/doc/1638267596.html?FMT=ABS. Baker III, F. W., & Surry, D. W. (2013). Open education designs: A taxonomy for differentiating and classifying open learning environments. In R. McBride & M. Searson (Eds. ), Proceedings of Society for Information Technology & Teacher Education International Conference 2013 (pp. 189–194). Chesapeake, VA: AACE. Retrieved from http://www.editlib.org/pv/48090. Bliss, T. J., Robinson, T. J., Hilton, J., Wiley, D. A. (2013). An OER COUP : College teacher and student perceptions of open educational resources. Journal of Interactive Media in Education (JIME), (February), 1–25. Retrieved from http://jime.open.ac.uk/2013/04. Caswell, T., Henson, S., Jensen, M., Wiley, D. A. (2008). Open educational resources: Enabling universal education. International Review of Research in Open and Distance Learning, 9(1). Retrieved from http://www.irrodl.org/index.php/irrodl/article/view/469/1001. Couros, A. (2004). The open source movement: Implications for education comprehensive essays. Unpublished Manuscript. Retrieved from http://www.educationaltechnology.ca/couros/publication_files/unpublishedpapers/Couros-OpenSource-Comprehensives-June30-04.pdf. Couros, A. (2006). Examining the open movement: possibilities and implications for education (Doctoral Dissertation). University of Regina. Retrieved from http://www.educationaltechnology.ca/couros/publication_files/research/Dissertation-Couros-FINAL-06-WebVersion.pdf. Creative Commons. (n.d.-a). About the licenses. Retrieved from http://creativecommons.org/licenses/. Creative Commons. (n.d.-b). History. Retrieved from http://creativecommons.org/about/history. Dalton, M. (2015). Ga. tech’s MOOC master’s degree program off to solid start | WABE 90.1 FM. Retrieved January 14, 2016, from http://news.wabe.org/post/ga-techs-mooc-masters-degree-program-solid-start. Dewey, J. (2001). Democracy and education (Electronic). Hazelton: The Pennsylvania State University. Retrieved from http://www2.hn.psu.edu/faculty/jmanis/johndewey/dem&ed.pdf. Digital Connections Counci. (2006). Open standards, open source, and open innovation: harnessing the benefits of openness. Innovations: Technology, Governance, Globalization. United States of America: Committee for Economic Development. Retrieved from http://www.oss-institute.org/storage/documents/Resources/studies/open-standards-open-source-harnessing-benefits-of-openness.pdf. Digital Connections Council of the Committee for Economic Development. (2006). Open standards, open source, and open innovation: Harnessing the benefits of openness. Innovations: Technology, Governance, Globalization. United States of America: Committee for Economic Development. Retrieved from http://www.oss-institute.org/storage/documents/Resources/studies/open-standards-open-source-harnessing-benefits-of-openness.pdf. Digital Connections Council of the Committee for Economic Development. (2009). Harnessing Openness to Improve Research , Teaching and Learning in Higher Education. Innovations: Technology, Governance, Globalization. Washington, DC: Committee for Economic Development. Retrieved from http://www.ced.org/pdf/Harnessing-Openness-to-Improve-Research-Teaching-and-Learning-in-Higher-Education.pdf. Free Software Foundation. (n.d.-b). Licenses. Retrieved from http://www.gnu.org/licenses/licenses.html#FDL. Georgia Institute of Technology. (n.d.). MOOC Experiments with Teaching Strategies. Retrieved January 14, 2016, from http://www.news.gatech.edu/2013/08/05/mooc-experiments-teaching-strategies. Hays, L. (1991). Open Education: Its Development in America and Its Influence on Current Educational Themes. Current. University of North Florida. Retrieved from http://digitalcommons.unf.edu/etd/129/. Henn, S. (2012). Stanford takes online schooling to the next academic level. Retrieved from http://www.npr.org/blogs/alltechconsidered/2012/01/23/145645472/stanford-takes-online-schooling-to-the-next-academic-level. Hilton, J. L. H., Robinson, T. J., Wiley, D., Ackerman, J. D. (2014). Cost-savings achieved in two semesters through the adoption of open educational resources. The International Review of Research in Open and Distributed Learning. Retrieved from http://www.irrodl.org/index.php/irrodl/article/view/1700/2853. Hyman, S. E. (2010). Open access policies. Retrieved from https://osc.hul.harvard.edu/policies. Ito, M., Gutierrez, K., Livingstone, S., Penuel, B., Rhodes, J., Salen, K., Mahendran, D. (2013). Connected Learning: An agenda for re. Irvine, CA. Retrieved from http://dmlhub.net/publications/connected-learning-agenda-for-research-and-design/. Kohl, H. (1969). The open classroom: A practical guide to a new way of teaching. Retrieved from http://books.google.com/books?hl=en&lr=&id=cb8NAAAAQAAJ&oi=fnd&pg=PA11&dq=open+teaching&ots=VUG2fQtrRg&sig=SrRIGL36mdzrmQmpM3vm_gS6aak. Laakso, M., Welling, P., Bukvova, H., Nyman, L. (2011). The development of open access journal publishing from 1993 to 2009. PLoS One, 6(6). http://doi.org/ 10.1371/journal.pone.0020961. Leckart, S. (2012). The stanford education experiment could change higher learning forever. Wired Magazine. Retrieved from http://www.wired.com/wiredscience/2012/03/ff_aiclass/all/. Lessig, L. (2004). Free Culture. New York: The Penguin Press. Retrieved from http://www.free-culture.cc/freeculture.pdf. Lessig, L. (2008). Remix: Making art and commerce thrive in the hybrid economy. Great Britain: Penguin Press. Retrieved from http://www.scribd.com/doc/47089238/Remix. Liyanagunawardena, T. R., Adams, A. A., Williams, S. A. (2013). MOOCs : A systematic study of the published literature 2008-2012. International Review of Research in Open and Distance Learning, 14(3). Retrieved from http://www.irrodl.org/index.php/irrodl/article/view/1455/2531. Massechusetts Institute of Technology. (n.d.). Our history. Retrieved from http://ocw.mit.edu/about/our-history/. Materu, P. N. (2004). Open source courseware: A baseline study. World Bank. Retrieved from http://siteresources.worldbank.org/INTAFRREGTOPTEIA/Resources/open_source_courseware.pdf. Matkin, G. (2009). Open learning: What do open textbooks tell us about the revolution in education? CSHE Research & Occasional Paper Series, 1–8. Retrieved from http://escholarship.org/uc/item/1b20t36z.pdf. McAndrew, P. (2010). Defining openness: updating the concept of “open” for a connected world. 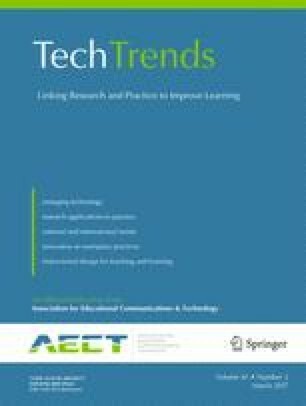 Journal of Interactive Media in Education, (JIME Special Issue on Researching Computers and Learning). Retrieved from http://jime.open.ac.uk/jime/article/viewArticle/2010-10/html. Meiszner, A. (2011). The Why and How of Open Education (1.5 ed.). The Netherlands: United Nations University, UNU-MERIT, Collaborative Creativity Group. Retrieved from http://www.scribd.com/doc/53332611/The-Why-and-How-of-Open-Education-v1-0-Read-also-the-new-version-1-5'#fullscreen:on. Minister of State for the Cabinet Office and Paymaster General. (2012). Open data white paper: Unleashing the potential. UK: The Stationary Office Limited. Retrieved from http://books.google.com/books?hl=en&lr=&id=SjLl8r_wFeYC&oi=fnd&pg=PA5&dq=Open+data+white+paper:+Unleashing+the+potential&ots=UJiV4rJtC2&sig=0rSSXLmiZ2ORgZPF9lBPJLVM0ZQ. Montessori, M. (1912). The montessori method: Scientific pedagogy as applied to child education in “the children’s houses” with additions and revisions by the author. Frederick A. Stokes Company. Retrieved from https://play.google.com/books/reader?id=vopsPFT9HCEC&printsec=frontcover&output=reader&authuser=0&hl=en&pg=GBS.PR3.w.1.2.0.1. Organisation for Economic Co-Operation and Development. (2007). Giving knowledge for free: The emergence of open educational resources. oecd.org. Paris, France: Organisation for Economic Co-Operation and Development. Retrieved from http://www.oecd.org/edu/ceri/38654317.pdf. Popper, K. R. (1966). The open society and its enemies (5th ed., Vol. 1 & 2). Retrieved from http://www.inf.fu-berlin.de/lehre/WS06/pmo/eng/Popper-OpenSociety.pdf. Raymond, E. S., Mckusick, M. K., Bradner, S., Stallman, R., Tiemann, M., Vixie, P., Wall, L. (1998). Open sources: Voices from the open source revolution. (C. Dibona, S. Ockman, & M. Stone, Eds.). Sebastopol, CA: O’Reilly & Associates. Retrieved from http://www.smaldone.com.ar/documentos/libros/opensources.pdf. Roberts, P. (2011). Openness as an educational virtue. Geopolitics, History, and International Relations, 3(1). Retrieved from http://ic.galegroup.com/ic/ovic/AcademicJournalsDetailsPage/AcademicJournalsDetailsWindow?failOverType=&query=&prodId=OVIC&windowstate=normal&contentModules=&mode=view&displayGroupName=Journals&limiter=&currPage=&disableHighlighting=false&displayGroups=&sortBy=&source=&search_within_results=&action=e&catId=&activityType=&scanId=&documentId=GALE%7CA267134559. Rodriguez, O. (2012). MOOCs and the AI-Stanford like Courses: Two Successful and Distinct Course Formats for Massive Open Online Courses. Transition, 1–16. Retrieved from http://www.eurodl.org/index.php?p=current&sp=full&article=516. Siemens, G. (2005). Connectivism: A learning theory for the digital age. International Journal of Instructional Technology and Distance Learning, 2(1). Retrieved from http://www.ingedewaard.net/papers/connectivism/2005_siemens_ALearningTheoryForTheDigitalAge.pdf. Silberman, M. L., Allender, J. S., Yanoff, J. M. (Eds.). (1972). The psychology of open teaching and learning: An inquiry approach. Boston: Little, Brown and Company. Retrieved from http://library.wur.nl/WebQuery/clc/349187. Wiley, D. A. (2006). Open source, openness, and higher education. Innovate: Journal of Online Education, 3(1). Retrieved from http://contentdm.lib.byu.edu/cdm/ref/collection/IR/id/164. Wiley, D. A. (2012). Defining the “open” in open content. Retrieved from http://www.opencontent.org/definition/. Wiley, D. A. (2014). The access compromise and the 5th R. Retrieved from http://opencontent.org/blog/archives/3221. Wiley, D. A., Hilton III, J. L., Ellington, S., Hall, T. (2012). A preliminary examination of the cost savings and learning impacts of using open textbooks in middle and high school science classes. International Review of Research in Open and Distance Learning, 13(3). Retrieved from http://www.doaj.org/doaj?func=fulltext&aId=1066324.